Hello wizards! Welcome to The Wizard's Spiral! 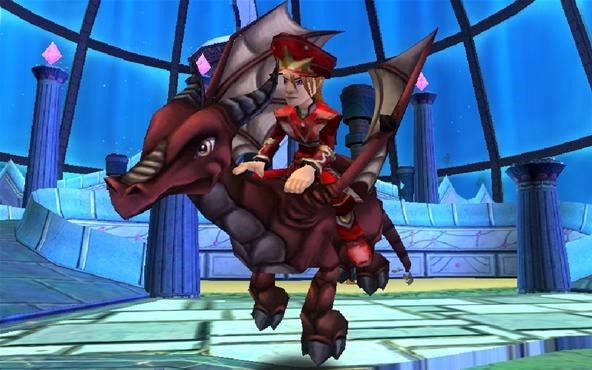 This new blog is about Wizard101. Feel free to post about anything in the Forums, ranging from equipment to Helephants, from castles to Mooshu. If you have any questions or technical problems, go to the forums and open a new thread. Me or any other wizard will be there right away to help you. For those of you who are wondering what Wizard101 is, you have come to the right place. Wizard101 is an MMORPG game that is all about wizards and magic. When you start, you immediately end up in the Golem Tower in the back of Wizard City. Malistaire, the evilest villain in all of the Spiral, appears. You are forced into a fight with Malistaire's minions and the Headmaster Ambrose teaches you how to use your spellbook in a fast-paced manner to defend yourself. When you finally manage to defeat the henchmen, Malistaire leaves swiftly, without a trace. The headmaster then tell you to meet him in his office. When you do, you receive your first quest in Unicron Way. This would be your start to an amazing adventure to try to stop Malistaire in the worlds of the Spiral. You will progress through many worlds. There are the storyline worlds, Wizard City, Krokotopia, Marleybone, Mooshu, Dragonspyre and Celestia. There is also an optional world, Grizzleheim. You will challenge skeleton-pirates, evil Egyptian crocodiles, psycho cat-zombies, little ninja pigs, evil storm women and oversized crabs, while also facing very strong enemies, eventually reaching Malistaire, the greatest enemy of them all. He resides in Dragonspyre. After you defeat him, you go on a whole new series of quests to Clestia to battle an unknown force named Morganthe. Along with fighting and magic, there are castles, houses, dorms, pets, pet training areas, minigames, dueling with friends, chat, shops, furniture, cool clothing, amazing new tools, treasure cards, recipes, music and lots more. Play the game to find out what there really is!